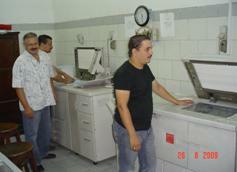 The Photocopying and Printing Center Is located in the Main Faculty Campus. 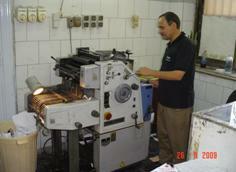 The center is equipped with ample numbers of photocopying, printing, master photocopying, and cutting machines. The center also supervises the operation of other Photocopying machines at various locations throughout the Faculty to serve the departments and the students. The main function of the center is to cover the needs of the Faculty Administration, Photocopying & Printing service of all departments. One of the main tasks of the Printing Center is to reproduce copies for all the exams and sub-exams run for the students of the Faculty. It also serves the faculty members in preparation for the Faculty. 1. Publishing lecture notes and books for under and postgraduate students. 2. 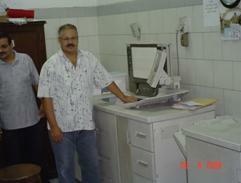 Photo copying and printing of various Faculty administration and managing requirements. 3. 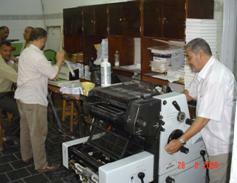 Photo copying and printing of examination papers for 15000 undergraduate students and 1000 post graduate students. Supplying the main activities of the Faculty with invitation cards, flies, and publications.